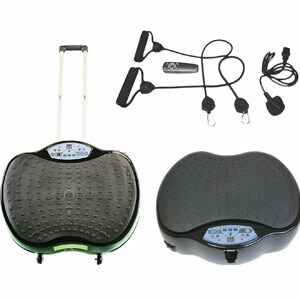 Does The Portable Nature Of The Xtreme Fitness Massage Oscillating Vibration Plate Actually Work? The product description for the Xtreme Fitness Massage Oscillating Vibration Plate certainly doesn’t hold back as it makes claims about the “most beneficial form of vibration training” and the new improvements to this 2016 model. The strong, dual-action plate is said to help with weight loss, toning and general well-being, and there are plenty of extra features in the box with plate, such as the two spring power cords and the exercise poster. Does it all come together to create a useful system for massage and fitness, as the specification suggests?